If you deal with heavy duty laundry and you’re looking for a practical and maintenance-free solution, then the NuGleam™ Twin Laundry Cabinet & Sink is meant just for you. 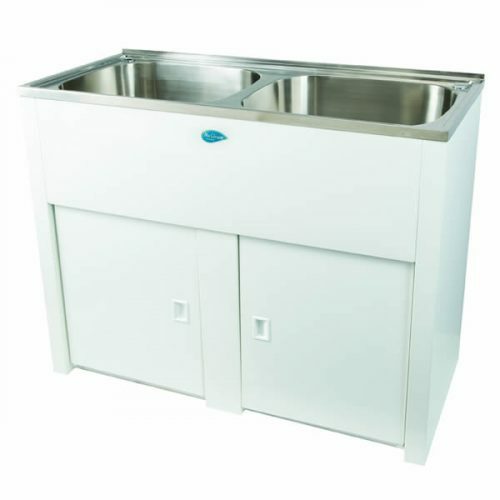 It is a durable, robust and high performing product that features two large stainless steel sinks and a white finish to the cabinet. 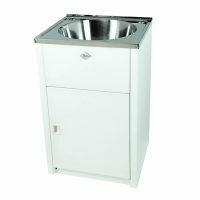 The NuGleam™ Twin Laundry Cabinet & Sink is equipped with two 45 litre stainless steel bowls and the metal cabinet is Dupont® coated for rust protection. 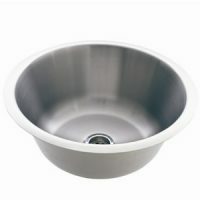 It featuring a single bypass assembly with a centre tap hole and also includes a basket waste. It measures 1120x518x870mm in dimensions. 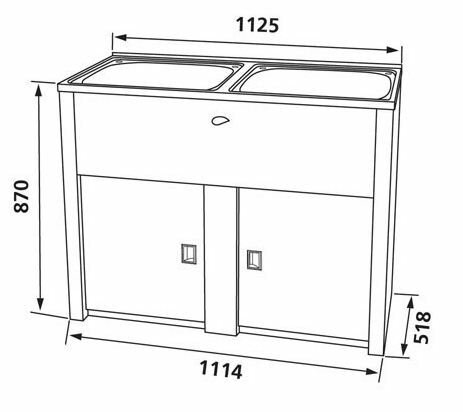 The NuGleam™ Twin Laundry Cabinet & Sink is a high quality product that is designed to withstand several years of substantial usage. 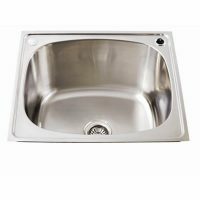 As a measure of quality, Everhard offers a 25-year manufacturer’s warranty on the metal cabinet and stainless steel sinks and a 1-year warranty on the plug, rods, wastes and hinges. The NuGleam™ series of laundry cabinets and sinks are top selling items at Ross’s Discount Home Centre and the NuGleam™ Twin is currently featured at an incredibly attractive price. Hurry and make your purchase today!